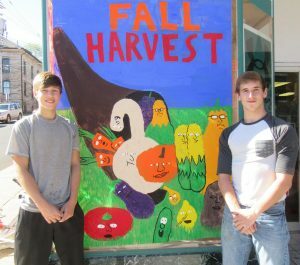 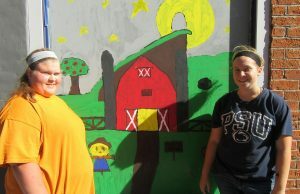 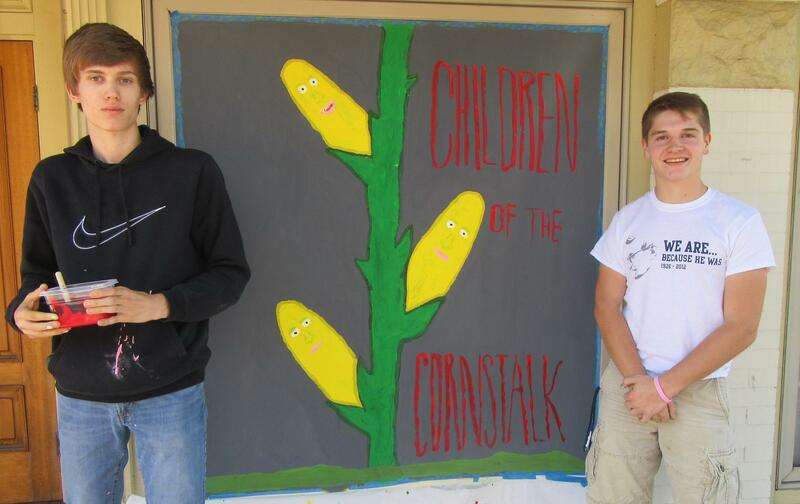 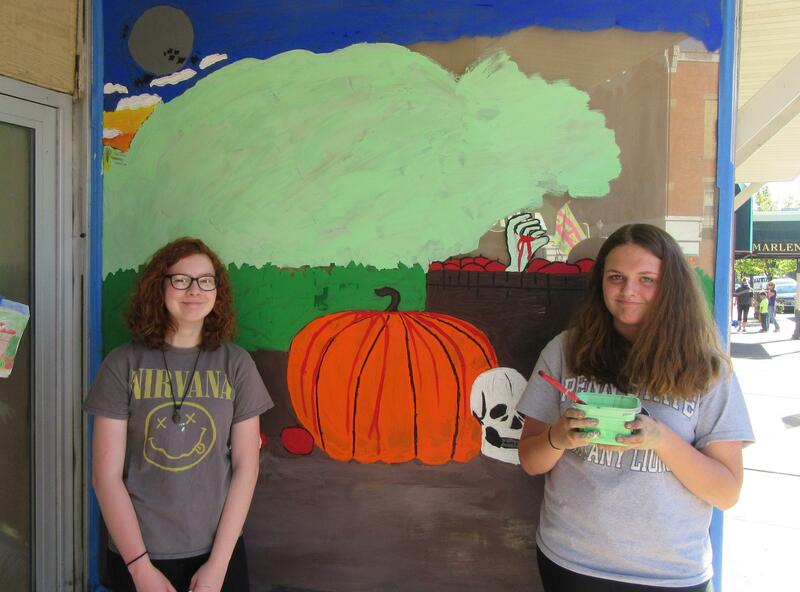 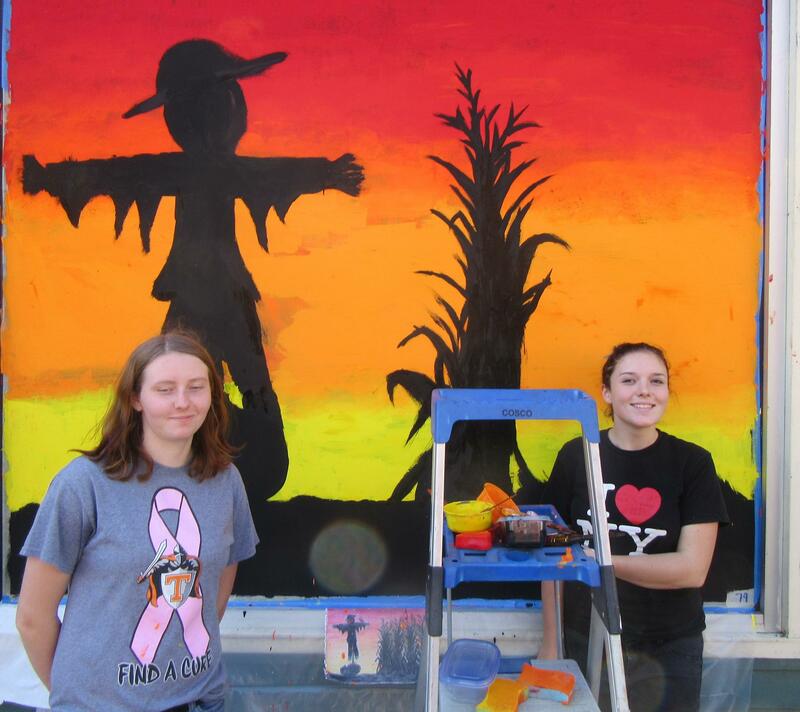 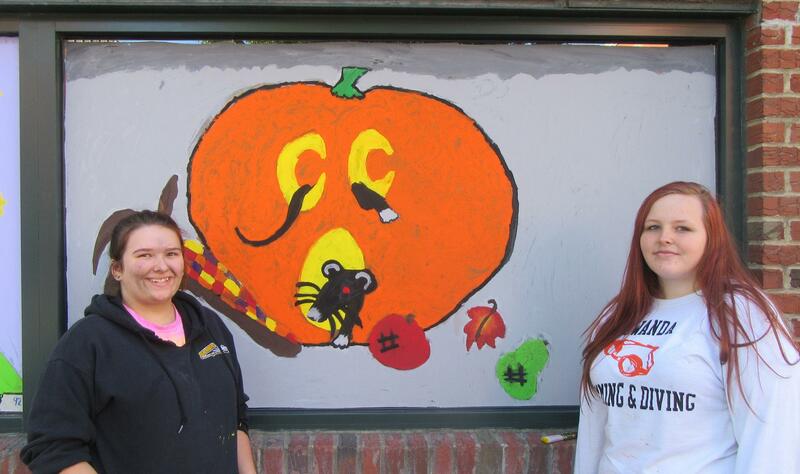 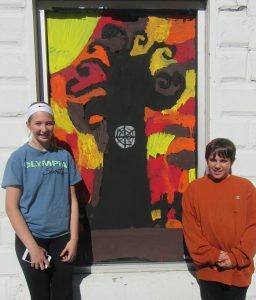 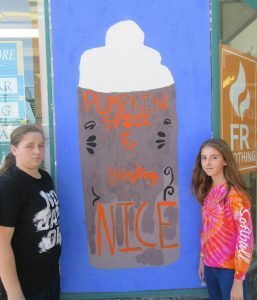 Juniors Sierra Bailey (top, left) and Caroline Dillman and Evan Gisler (above, left) and Dylan Hartmann were among the many student artists at work adorning windows of stores and offices in Towanda with fall and Halloween imagery on Thursday. 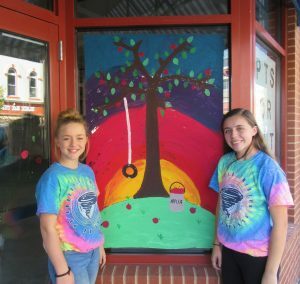 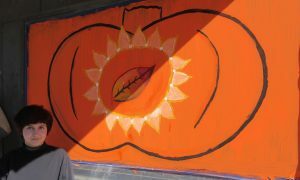 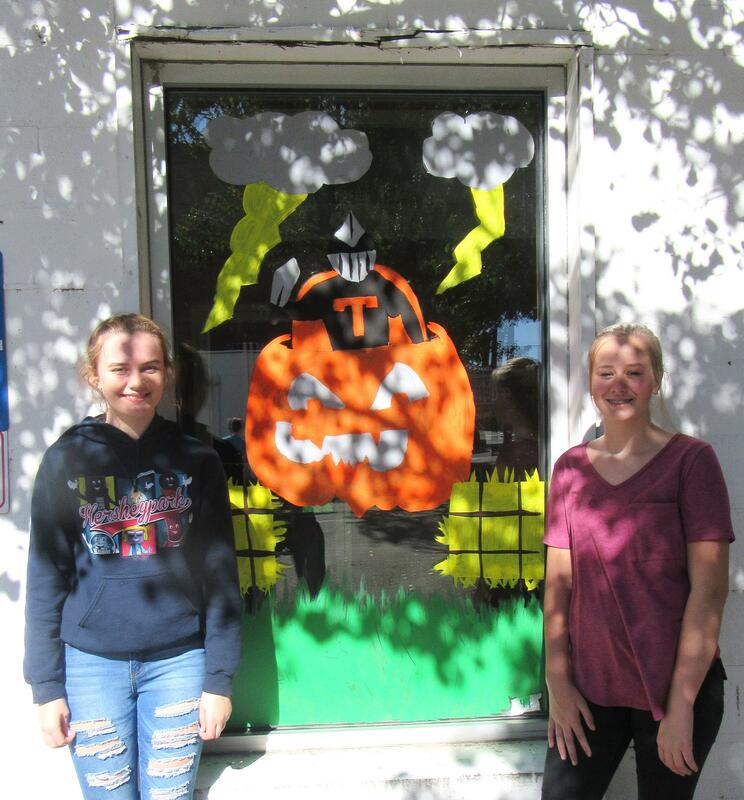 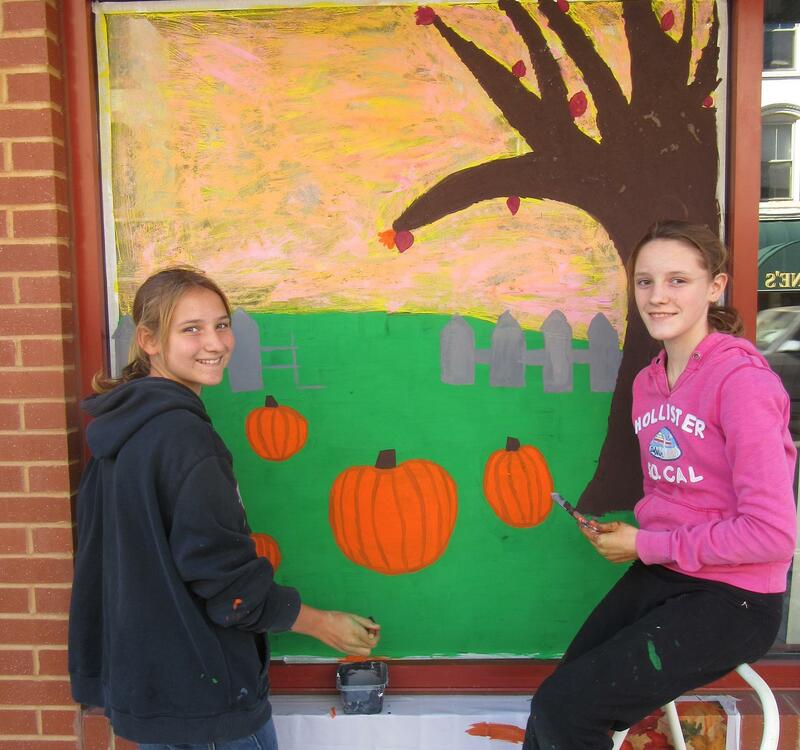 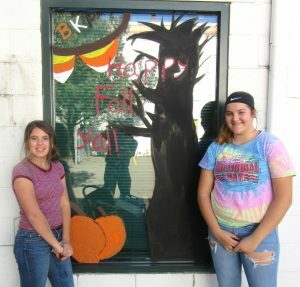 Approximately 190 students from Towanda Area High School enjoyed beautiful fall weather on Thursday as they took to Main Street for a day of window painting. 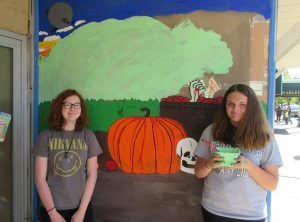 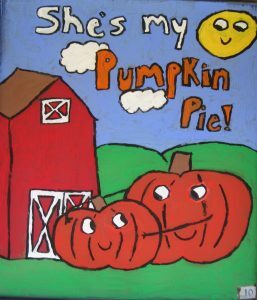 The annual Halloween tradition dates back at least as far as the 1970s and begins with the submissions by students to the high school art department of drawings based on a theme. 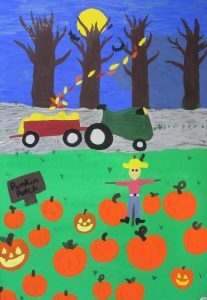 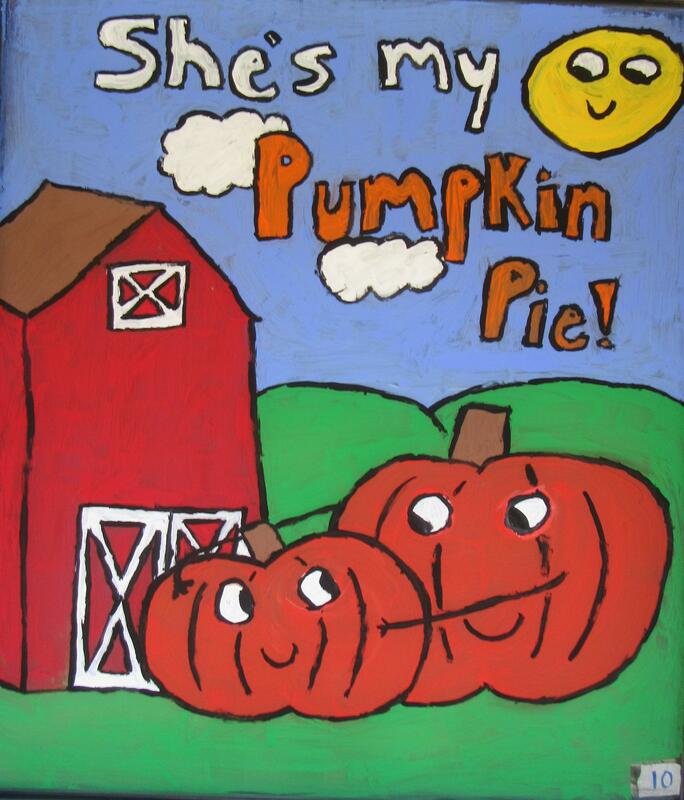 This year’s broad theme of “harvest time” was interpreted in a variety of ways. 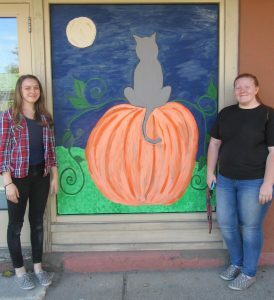 According to high school art teacher Shvonne Strickland, who has been involved with the activity since about 2001, building owners have always been very cooperative with the project, and eateries benefit because the students buy lunch downtown. 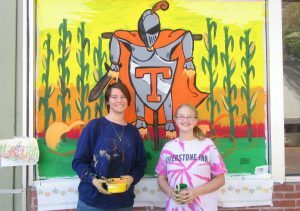 On Oct. 19, she was staffing a paint station near the Keystone Theatre with geography and social studies teacher Laurie Kapson, who has taken part since about 1997. 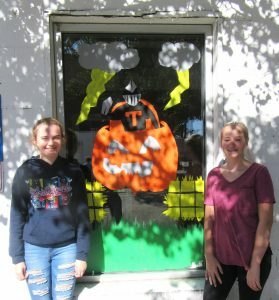 Additional faculty members working with the students downtown on Thursday were high school secretary Tina Lines and aide Aimee Lamphere. 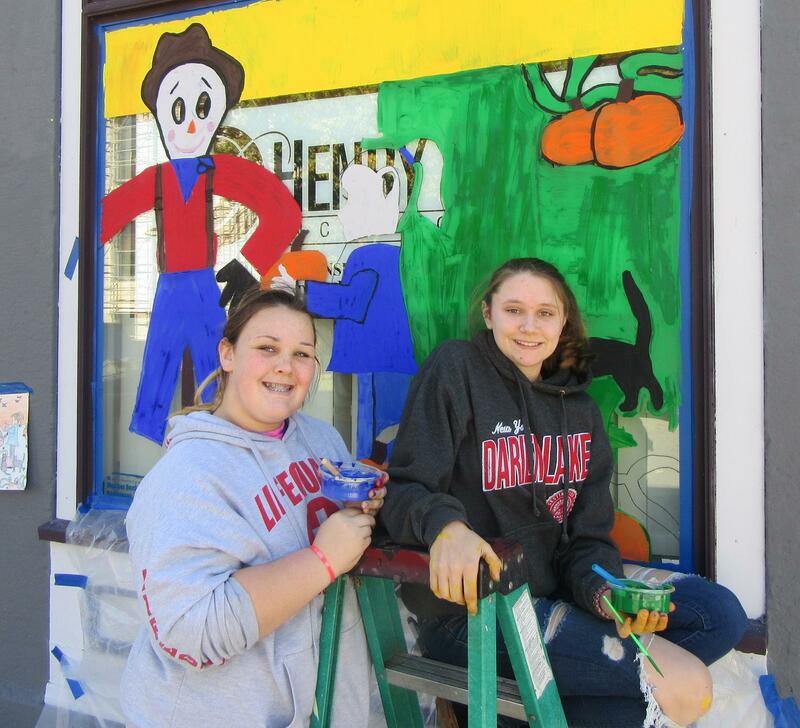 There were about 20 more students involved this year due to additional windows at the new Towanda Terrace building. 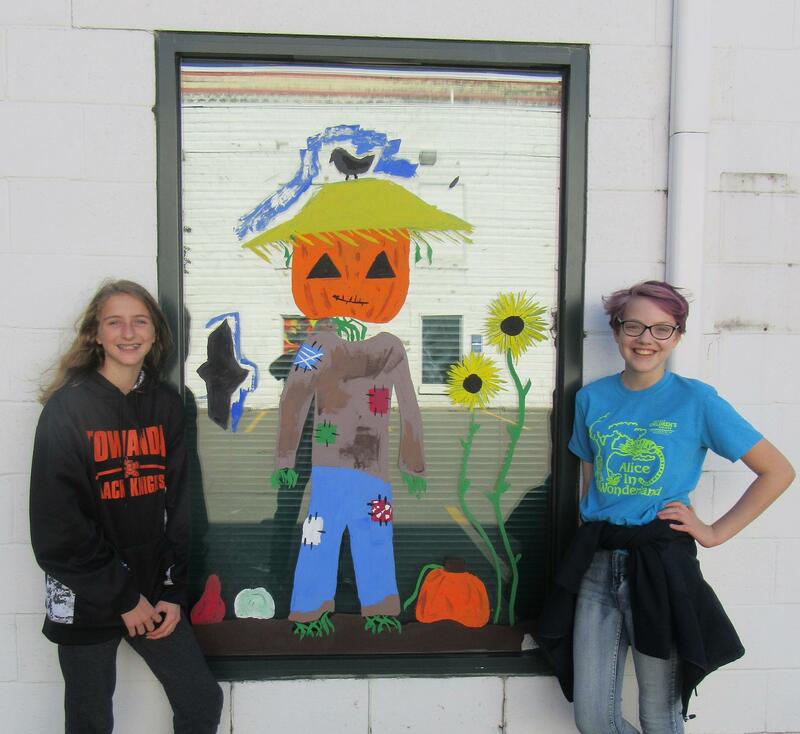 Parents and students are responsible for cleaning the windows just after Halloween. Sophomores Katrina Roof and Lucy Fink.